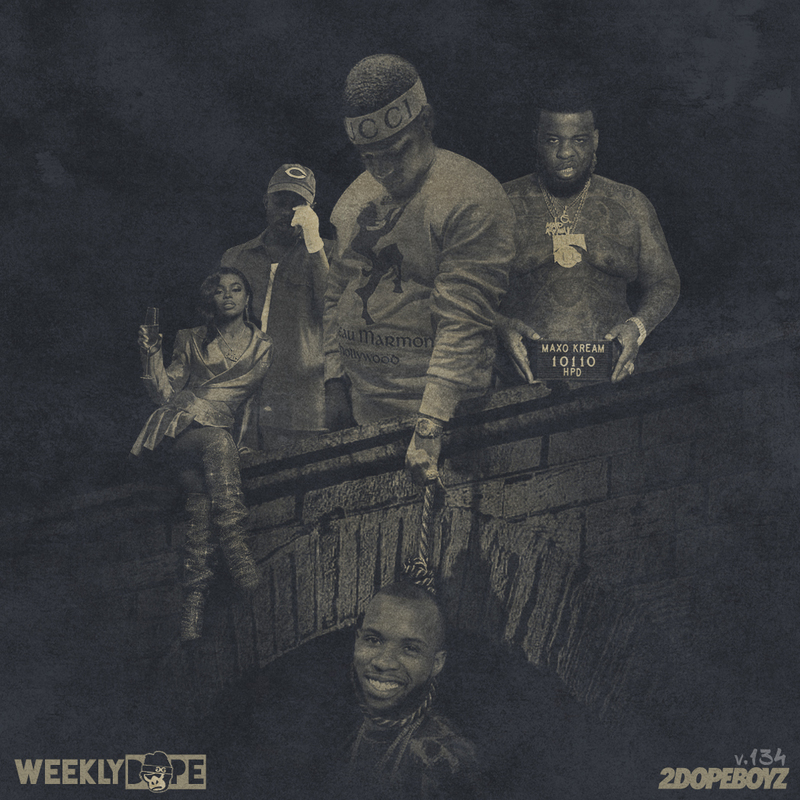 As a reminder from last week, Weekly Dope will now be combined with my Songs of the Week playlist. So, moving forward, we’ll only be updating a single playlist–updated every seven days–with our personal selections, instead of a collection of all the music that was released. With that said, we’ve got another busy week to recap and we’re kicking it off with a pair of tracks from Boogie‘s debut album, Everything’s For Sale. From there, we’ve got two bangers off Heatmakerz, Joell Ortiz and Fred the Godson‘s surprise Gorilla Glue project, KXNG Crooked‘s latest Hip Hop Weekly drop (well, if you’re a Spoify user), and the first taste of the Dreamville sessions with J. Cole. T-Pain dropped a new single with Tory Lanez (who’s smiling on the artwork, despite getting rocked by Don Q on “I’m Not Joyner,” only because he seems unfazed and readying just dropped a fire response), TDE’s Zacari made his official introduction to the world with his debut single, and Yo Gotti “Put a Date On It” with Lil Baby. There’s highlights off projects from Boston George & Jeezy Diego, Dreezy, Summer Walker, slenderbodies, and Choker. Plus loosies from GoldLink, Rockie Fresh & Chris Brown, Maxo Kream, The Underachievers, Grafh & Benny the Butcher, Amber Simone, and a few others. Updated each Monday on Apple Music, Spotify and Tidal, the Weekly Dope playlist can be heard below.